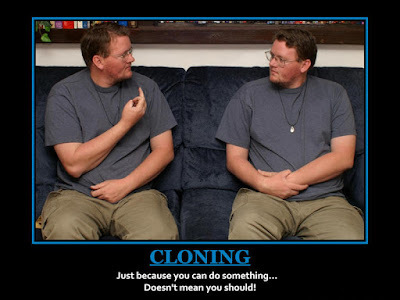 Cloning: Just because you can do something... Doesn't mean you should. Yeah I know, and old Photoshop, just trying out a program I found to make motivational posters.